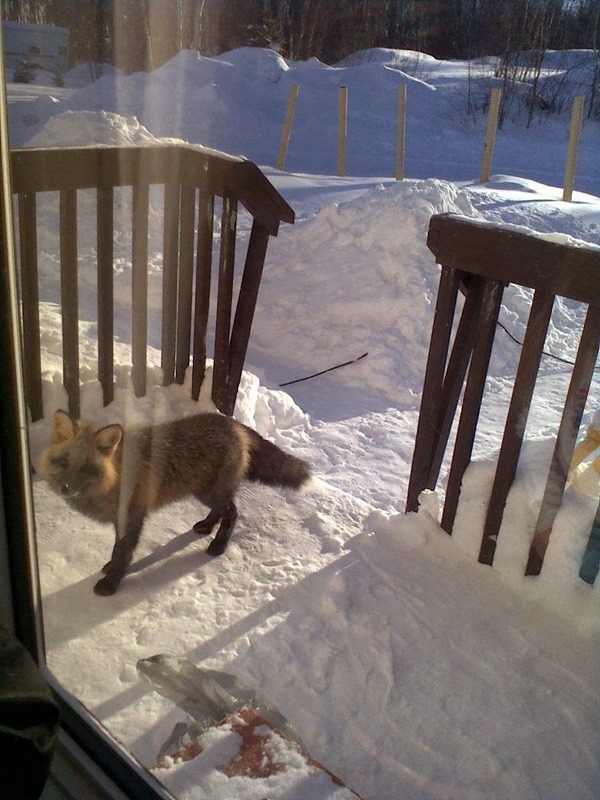 The fox in this picture comes around daily to my sister's. Yes, she feeds it. My sister lives about 4 houses from me. Jake has seen him running down the road by our place and always gets all wound up. He's very nice looking though and not scary skinny. On another note, it's been so, so cold here. Most days in the minus 40's with the wind chill. Because of my Raynauds, my fingers have gotten chilblains on a few of them. I even have to wear finger less gloves in the house, and sometimes even the mini gloves with fingers. Plus we keep it warmer in here. I'd like to cut back the heat but have to think more of my health. Am always cold too because of being anemic as well. And yes, I already am wearing a sweater and slippers in the house. Just did up my 2014 calendar as well today, moving all the birth dates and anniversaries from 2013 over the the 2014. Did you send out many Christmas cards? I feel this may be a dying thing- anyone else? I remember as a kid living at home, and mom used to get cards every day in the mail during the holidays, and she would let me open them. Some contained short letters and notes, and it was always nice to open the ones that had photos in them. Gerry and I only sent about a total of 5 out but gave to all the family in town. We won't have Ria in town this year for Christmas. Her boyfriend, Chris and her are in Roatan for a few months taking a diving course, and she isn't set to come back till May.We may consider a Spring cruise to the area before she returns. Not 100% sure yet. I'd be interested in knowing if anyone has been to this area before. Sharing some photos below from her.